The Fall half of the 2010 season has begun in earnest.. Crowds are thronging to Old Rag, literally by the thousands..
..and with good reason: there are few places in the world more spectacular than the Blue Ridge Mountains in Autumn. The ORMS staff is constantly amazed at the behavior exhibited on the mountain, however. It is almost as if upon deciding to hike Old Rag and rushing out the door, that common sense gets left behind. -Old Rag is a remote mountain peak. If you get hurt, whether by carelessness on your part or by accident, it will be HOURS before you will get to a medical facility. - There are port-a-johns at the base of the mountain and a moldering privy at the Old Rag Shelter. Please try to plan your pooping and peeing accordingly. (This applies to your children as well) Nothing is more disgusting and distasteful than stumbling upon a pile of used TP on a beautiful afternoon hike. - Even though it is Fall, you still need water. You may not noticeably perspire as much.. but you are still losing fluids... Take 2-3 liters per person! - Dress for the weather... which means 15 windy degrees cooler than where you live! -If you hike on the weekends... expect crowds and long waits at the tight spots. Have patience. 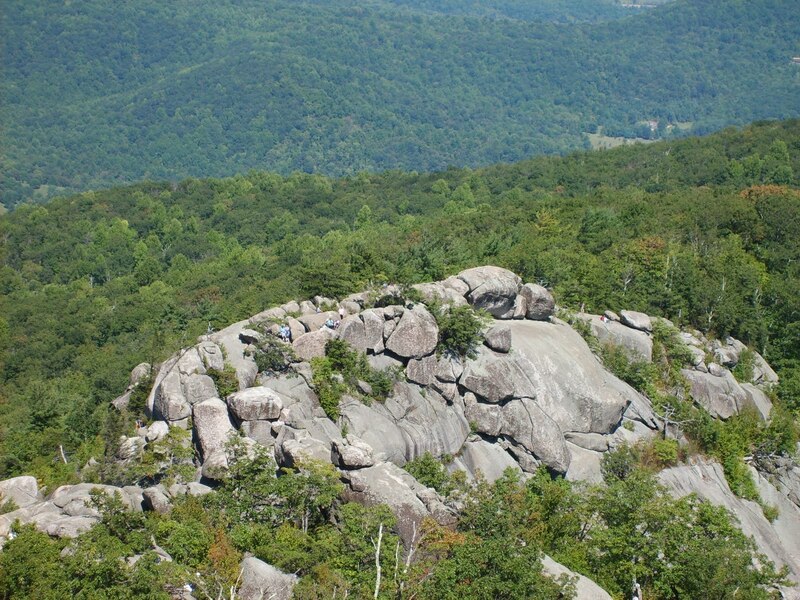 - Believe it or not, a large portion of Old Rag is designated as wilderness.. please respect it as such! Leave No Trace guidelines apply! !